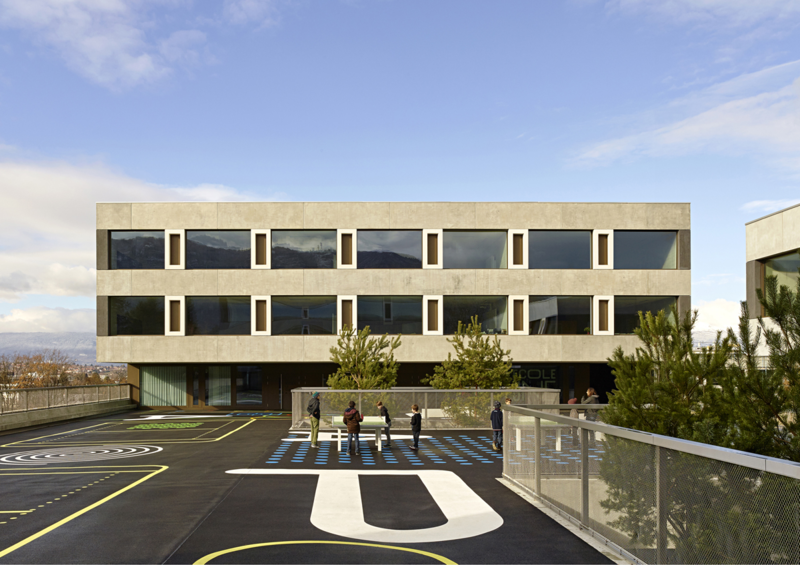 Located south of the new district of Chapelle-les Sciers, the school and sports complex of Le Sapey comprises four separate blocks built at two datum elevations to cater for a complex topography. In its residential character, the built morphology is a logical continuation of that used for the sixteen residential buildings. 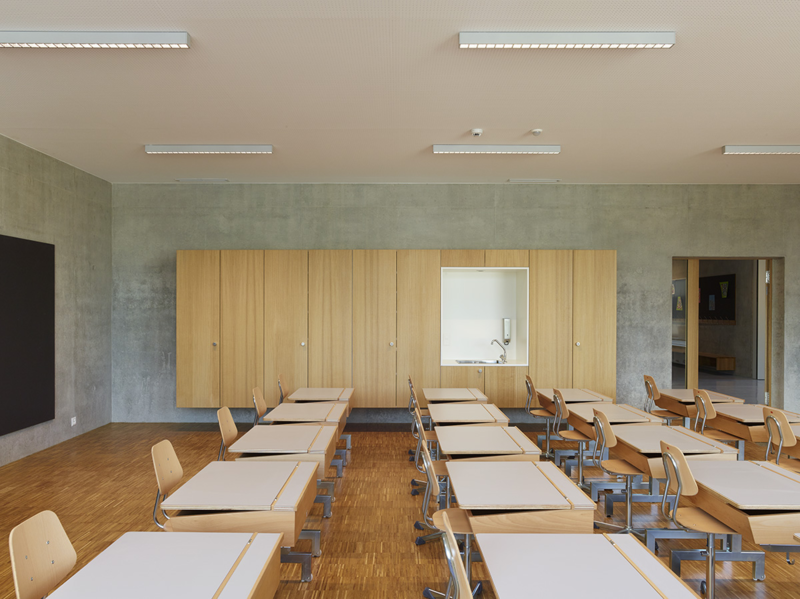 The three blocks on the upper level are designed for school and extracurricular activities. They feature large cantilevers that highlight the entrances. The layout provides generous expansions in the passageways that overlook the landscape. 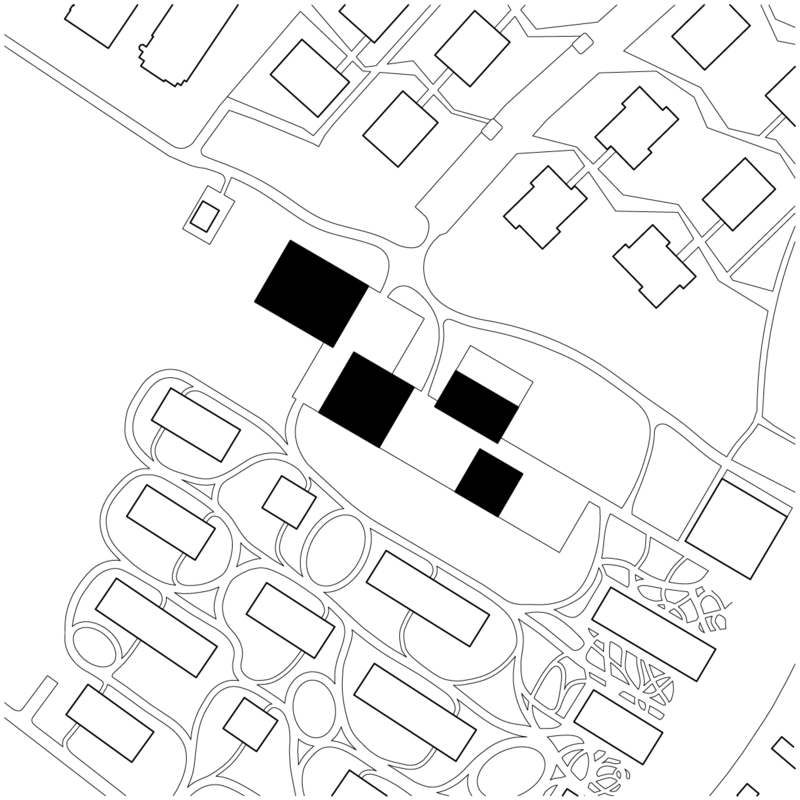 In the centre of the floor plan, the covered playground is sited on the roof of a full basement that links the buildings and is broken by two patios. Inside, exposed concrete is combined principally with natural wood panels that dominate the perception of the space. 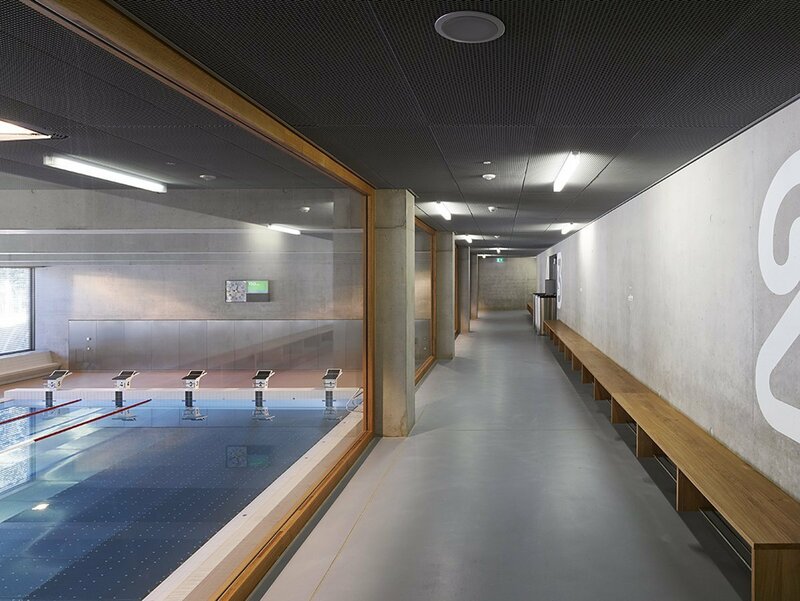 The sports part of the scheme occupies the space set slightly below, with a sports hall and gym above the swimming pool. 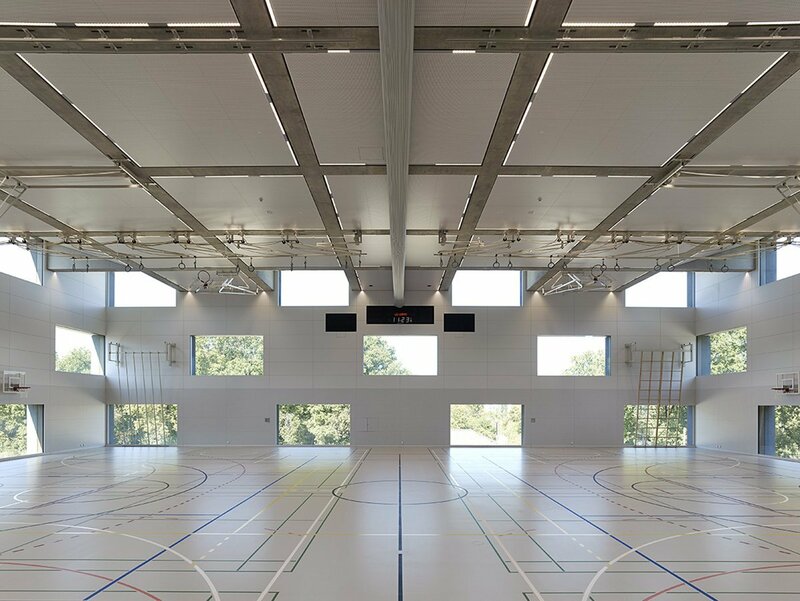 The layout is designed in such a way as to allow a view of games being played as part of physical education The architectural style adopted features alternating solid and glazed bands, broken at regular intervals by large white concrete frames that remove any ambiguity about not using the modern style of horizontal, non load-bearing, windows. 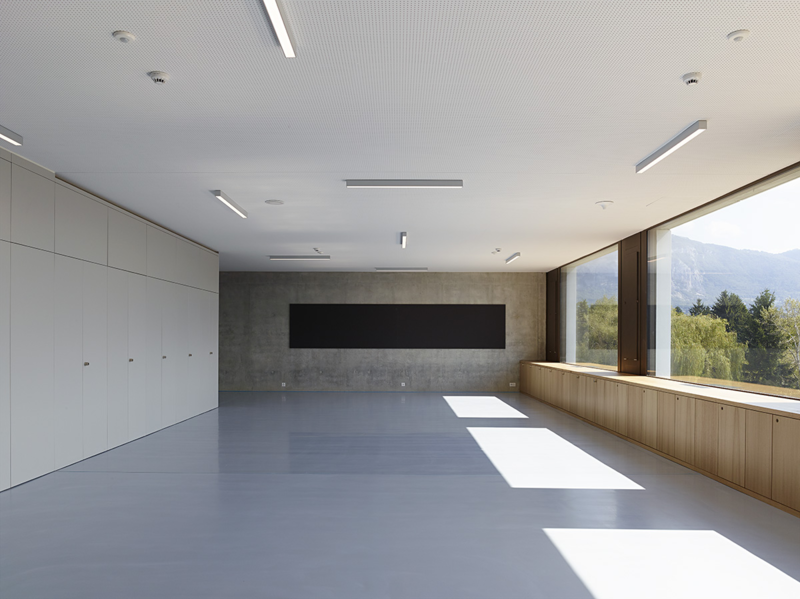 The compositional rigour and unity of material – pre-cast concrete – gives the development a very strong character and identity that confirms its institutional function.